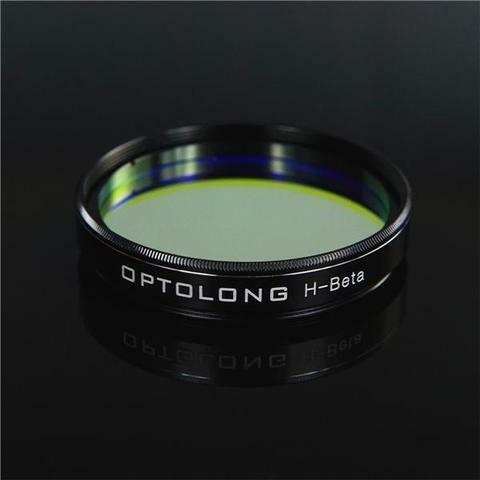 Optolong Narrowband H-beta filter is designed for nebula observation allowing 25nm bandwidth of light centered on a wavelength of appr 490nm throughout, about halfway betweenthe H-beta emission line and OIII. It also reduces the transmission of certain wavelengths of light, specifically those produced by artificial light including mercury vapor, and both high and low pressure sodium vapor lights and the unwanted natural light caused by neutral oxygen emission in our atmosphere (i.e. skyglow). H-beta emits 486.1nm and it is a blue colored filter. Some images of planetary nebulae and supernova remnants are taken with H-alpha, H-beta and OIII filters. They show great structural details, but have natural colors, looking like an RGB image. Suitable for visual observation on most emission nebulae, planetary nebulae and supernova remnants. Suitable for viewing on bright nebulae like M42 Orion Nebula in heavy light pollution. Use with a large aperture telescope under clear and dark viewing conditions with good seeing. 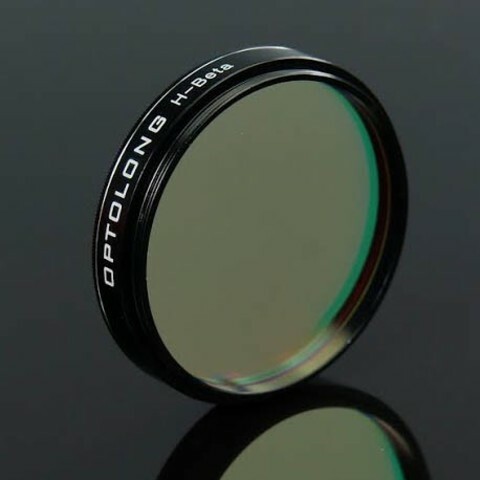 Due to the fact that this filter will let through a larger amount of light around the OIII emission line, its main purpose is visual observations, however it can also be used with a small telescope for imaging deep sky objects. Light pollution filters do not eliminate the effects of light pollution or increase the object’s brightness. In many cases, they increase the contrast between nebula and night sky, not brightening the nebula. 90% transmission at major H-beta line 486.1nm, Partial transmission (appr 65-70%) of OIII line at 495.9nm. 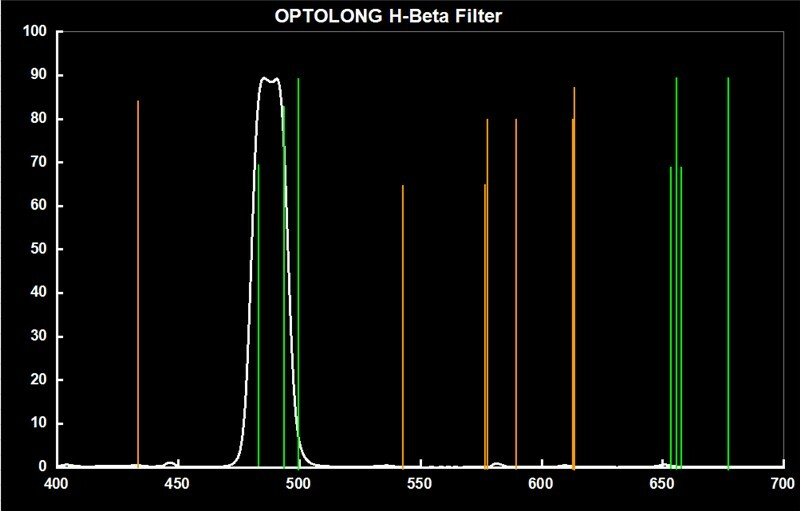 Precision off-band blocking, specifically the major emission lines of artificial light pollution (i.e. Na 589nm, Hg 435nm and 578nm). Electron-beam gun evaporation with Ion-assisted deposition coating technology for durability and resistance to scratching, as well as stability on CWL(central wavelength) no deviation affected by temperature change. Free Shipping Worldwide Via Registered Pos. For Express Shipment, Contact Us For Charges!